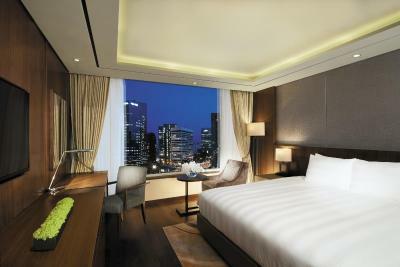 Lock in a great price for Lotte City Hotel Mapo - rated 8.5 by recent guests. Comfortable room, good quality free internet, small but adequate fitness centre, close to Gongdeok subway entrance allowing for easy access to Incheon and Gimpo airports. Great location for metro. Route to Airport. Staff were excellent, happy. airport bus is in front of hotel, good location, delicious breakfast, tax refund facilities, room size is good, overall nothing to complain. Hotel is very clean, nice breakfast, housekeeping staff was really nice. Great location! clean rooms, comfy beds, great toilet!! excellent location- and for that price! 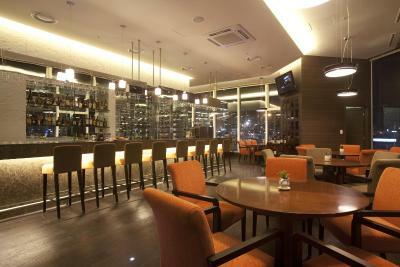 Easy access to nearby subway, cafes and restaurants. The location is fantastic. The hotel is directly above Gongdeok metro which is a transfer line with four/five other lines. 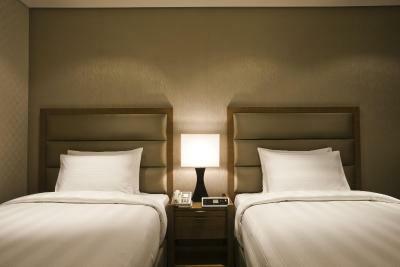 The hotel itself is nicely decorated, the room was comfortable and the bathroom was clean and well presented. The breakfast buffet was good with a wide variety to choose from. Very close to the metro Gongdeok station! Nice bed and cozy room. One of our top picks in Seoul.Lotte City Hotel Mapo is located above five levels of shops and clinics, and offers a free-access indoor pool, a fitness centre and a car park. The hotel is conveniently located directly outside Exit 2 of Gongdeok Subway Station (Line 5, 6, Gyeongui Line and Airport Railroad Line). 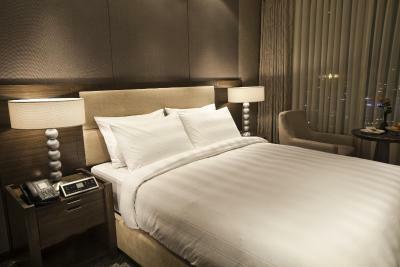 All rooms are fitted with a desk, flat-screen TV with cable channels and safety deposit box. Private bathrooms provide a bathrobe, hairdryer and slippers. 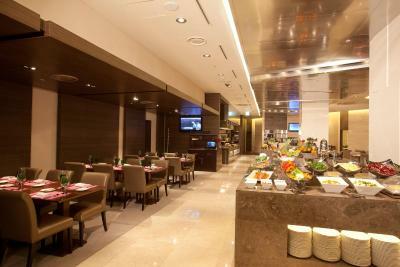 Mapo Lotte Hotel provides a buffet spread of Western dishes at restaurant Naru, where daily breakfast is also served. Internet-connected computers in the business centre and self-service coin laundry machines are available for guests to use. Guests can conveniently access Lotte Supermarket located in the lower levels of the building. 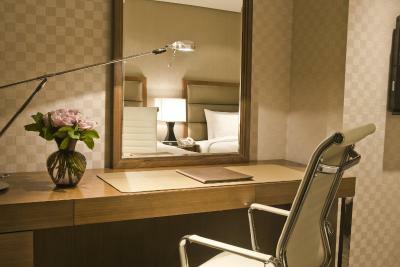 The hotel’s prime location offers easy access to various corners of the city. Yeouido IFC Mall is a 10-minute subway ride away on Line 5 and the bustling Itaewon area is a 15-minute subway ride away on Line 6. The lively Hongdae and Sinchon areas are each a 10-minute taxi ride from the hotel. 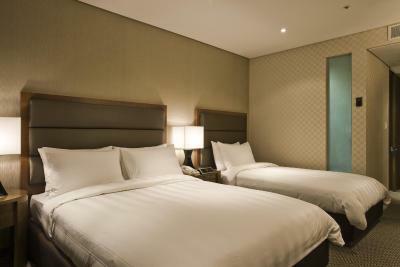 The hotel is a 15-minute drive from Seoul Station, a 30-minute drive from Gimpo Airport and a 60-minute drive from Incheon International Airport. 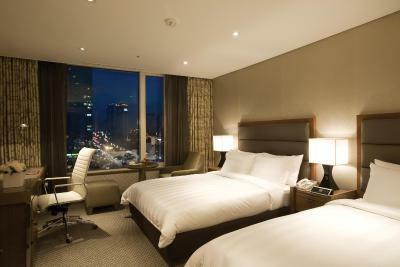 Lotte City Hotel Mapo has been welcoming Booking.com guests since 8 Mar 2010. 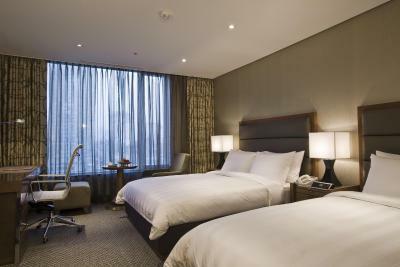 When would you like to stay at Lotte City Hotel Mapo? 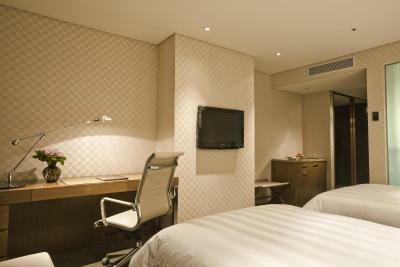 Modern rooms feature a 32-inch flat-screen TV, minibar and bathroom with bathtub. House rules Lotte City Hotel Mapo takes special requests - add in the next step! Lotte City Hotel Mapo accepts these cards and reserves the right to temporarily hold an amount prior to arrival. Please note that the swimming pool is closed from 12:00 until 14:00 on the weekends and public holidays. Room smelt of smoke. Limited fresh fruit for breakfast. No Latte or Cappuccinos at breakfast. Pool a bit too warm. Pool and gym. Bathroom good. Great place that so close with subways..
Good price, nice room, good location. Lifts are frustrating - need to press two buttons to get attention of the three lifts. Buffet in restaurant expensive. The hotel is a 45 minute ride from the airport on the airport rail/ subway which is conveniently located in the basement of the hotel at Gongdeok station exit 2. I loved being that close to the subway station. I would just walk out to the B1 on the elevator and come out to the basement subway station, or to the nice Lotte supermarket, subway sandwich restaurant,Paris Baguettes(near exit 1). Additionally, Off the elevator at B1 & 2 there are many nice Korean restaurants, many coffee shops, and stores as you walk outside into the subway station. Some stayed open as late as 10:00 pm. Also, My check in was smooth. There is a 7 eleven and Pharmacy inside the lobby next to check in. Elevators and escalator to get to the subway. They spoke English at the front desk. The wifi was strong, there were 2 english speaking channels which were ok since I had strong wifi. My room was very clean, and the bed was nice. It was 7 degrees Celsius in Seoul but my room was still warm even when I turned off the central heating/air switch. My room was located on the 4th floor next to the indoor pool and exercise rooms and over looked the main street and other buildings. So the view was not bad. I did not choose the breakfast because I saw a variety of place to eat in the basement eateries & cafes when I arrived, or I chose to buy snacks for my room. I could get on the subway to ride anywhere I wanted go to get food. As a solo female traveler, I felt safe in the hotel area. I also downloaded Naver maps & seoul metro subway app which were super helpful navigation guides because Google was not as efficient for me in Seoul. The convenience for me was key! It was very convenient to have a hotel exit inside of the subway. I would leave as early as 7 am to explore Seoul (most places opened at 9 or 10 am) and would return to the area at 11:45 pm. I would definitely stay here again when I return. Location 10, clean 10, safety 10, customer service 10. 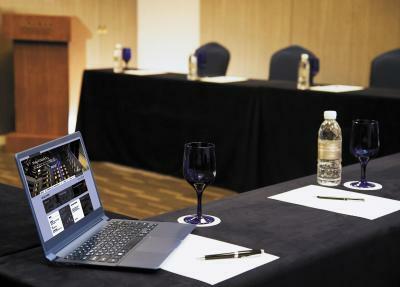 This is a great hotel in a great location with great facilites and staff. Very comfortable. almost nothing. I would say the gym is quite poor not so many weights or machines. For being lodged at a Lotte hotel, they could have proposed discounts to the Lotte attractions is the city. 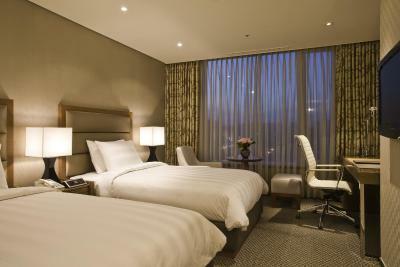 very good location: the Airport limousine from Gimpo or Incheon stops across the street from the Hotel. There is a mall on the ground floor of the hotel where you can also find metro station line 6 and 5 . It is 4 metro stops away from city hall where main attractions are. there a nice swimming pool on 4th floor. The whole hotel is located from floor 3 to 8 . The staff is extremely attentive and helpful. This is a deluxe customer service delivered. Breakfast is diverse and from 6am to 10 am. 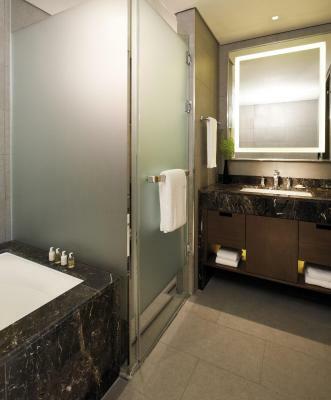 Room is spacious with both shower Italian style and bath tub. Also they have Japanese style toilets! accomodating staff, good food, everything you need is in the hotel. wifi speed should be more improved.